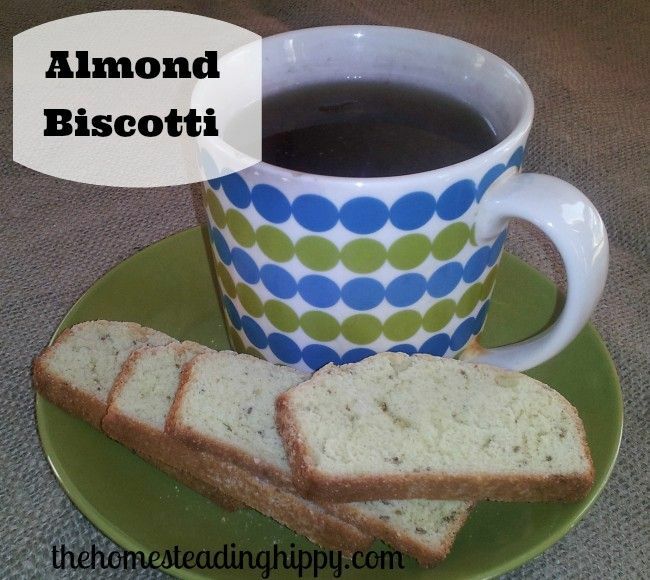 I am in love with almond biscotti, plain and simple. They are super easy to make, and are super delicious with tea, coffee, or even just plain ol’ snacking! My mother used to love these as well, and I really enjoy making them in her memory. *miss you, Mom*! I got this recipe originally from Bob’s Red Mill, but had to tweak it a bit, because, well I am ME and I can never leave well enough alone. Grease a large baking sheet or line with parchment paper. Combine flour, anise, almonds, butter and baking powder in a medium bowl. In a separate bowl, beat the egg and sugar until light and fluffy. Add vanilla to egg mixture. Add the dry ingredients, and mix well. Divide dough into 2 equal pieces and roll each into a 12 inch log. Place 4-5 inches apart on the baking sheet and bake for 20-25 minutes or until firm. When cool, cut logs diagonally into 1/2 inch slices. Place slices on baking sheet 1/2 inch apart and return to oven for 10 minutes or until lightly browned. I do love biscotti and miss being able to have nuts. 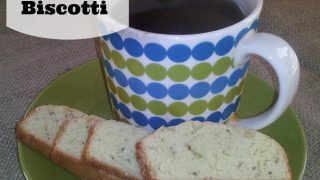 We love biscotti! Made my first one a few weeks ago. Can’t wait to try your recipe. Hi Heather! Thanks for the invitation! This week I’m sharing an updated version of my mother’s ginger and green onion chicken. thanks for coming over! I can’t wait to try this! Sounds so yummy, will have to give it a try.